Don Riley leads a team of men to continue construction work on The Light of Truth Church in Almaty, Kazakhstan. Pray that they will accomplish much, encourage the church in Almaty, and learn from our partners how God is working in Central Asia. Pray for Don, Pat, Rhea, Don S., Jay, Wayne, Rick, and Dennis. They return September 10. Pray for Bill and Lauren Finnell as they prepare for their move to a new city in Spain with their new agency, Church Resource Ministries to do member care. Pray this move and adjustment will be easier and lasting as they have moved many times during their ministry in Spain. Pray the children will settle into school and routines that enable them to acclimate to their new home and for renewed language skills. For more info on Bill & Lauren, see page 40 of the prayer guide. Leslie Kuhn has seen four of the newer staff members graduate from their on the field cultural training and feels blessed to see how God shaped and cared for them in the process. Pray for a new family in Cologne as they learn the language, adjust to life in Germany, and look for long-term housing. Pray for Leslie to return from her brief home leave refreshed and ready to continue helping team members settle into the work God has called them and her to do. For more info on Leslie, see page 43 of the prayer guide. From all reports Reformation 500 was a huge success with 15 countries, 127 cities, 376 churches, and 3,533 in attendance. Jeff K. of China Partnership indicates that one of the highlights was the diversity of the church that came together to overcome some sectarian divides between God’s people. Pray what attendees learned and experienced while there will enable the Kingdom to grow in depth and breadth as they put into practice what was taught at the conference. 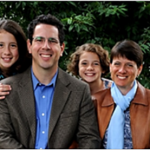 Craig Pohl completed his term as director of the Reformed Theological Academy, and God has opened the door to partner more closely with Lonquen Valley Presbyterian Church. Craig and Stacy will focus on in-depth discipleship, support church planting locally and internationally, and reach the SW sector of Chile’s capital city with the Gospel. Pray for the family as they begin a 6 month home leave. Upon returning they will take on these new responsibilities. For more info on Craig & Stacy, see page 62 of the prayer guide. Raju is getting help from his transition team as they expand the leadership development work along with church planting. The shepherds training class for church planters offers on-the-job learning for five years, a school of biblical teaching workshop, and an Ezra Theological course that takes three years to complete. Pray this training will better equip them in proclaiming and practicing the Great Commission, for the thousands of patients treated annually at Kachhwa hospital and the 70 schools started in villages. Jackie expresses joy in deepening relationships with girls at Covenant City Church and is grateful for the structure and flexibility an office provides. Pray for language fluency as she participates in and leads an Indonesian speaking Bible study; for connections and spiritual conversations with women outside of the church, and for the Bible study for newer women in the community to be a meaningful time of fellowship and deepening love for His Word. Brian and Terri are grateful to have a missionary status visa allowing them to live in Thailand, a country under military rule. At least six Thai students came to Christ through the summer camp; pray many others will follow. The staff there is trusting God for 40 new believers this year. CO continues to partner with the local churches; pray for Covenant Church, Grace Point Church, and CM Sprout Church. 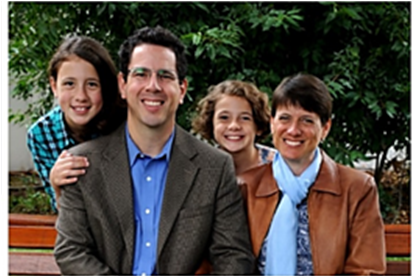 Under Steffen’s leadership at Mittendren, God’s Kingdom is growing in Potsdam, Germany. They continue to celebrate the steady stream of new people coming to church. Pray for the three new people on the church Leadership Team and for elders to serve alongside Steffen. Pray for their church plant in Cottbus and for those working to build a church. The Sundanese Christian Fellowship “Paul” team gives praise for the salvation and healing of Udi and his family. Pray the house fellowships will multiply and every member will be bold in sharing the Gospel with their family, friends, and acquaintances. Sandro and his family have moved; pray for quick adjustment to new home and surroundings. Pray also for the churches—only four have been granted permission to build, the result of a strong resistance to Christianity in the area.